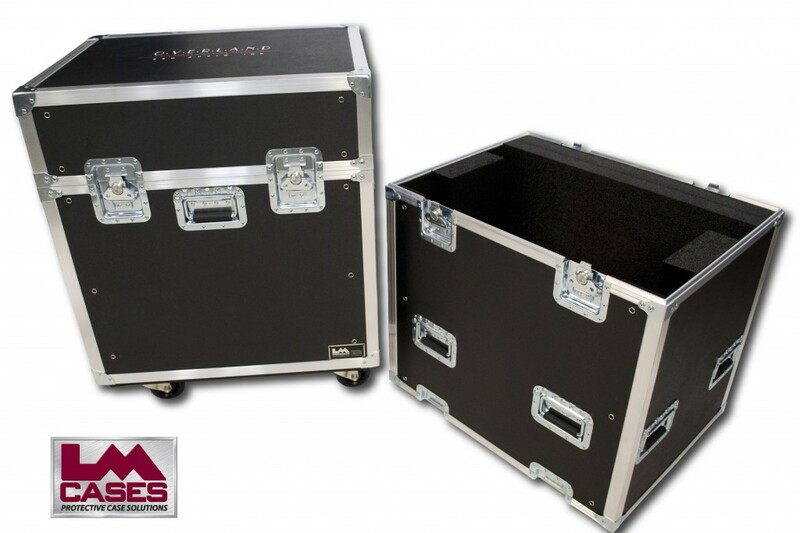 This case was designed for VA based sound company Overland Pro Audio. The case is designed to be modular allowing Overland to use the case for all types of events. The case is built to hold 4 D&B Audiotechnik Q1 line array elements rigged together, if fewer speakers are needed for an event the center section can be removed making the case smaller. The smaller version of the case is designed to hold 2 Q1 elements rigged together. The benefit of this design is the speaker case can simply be rolled under the array frame and rigged directly from the case. The interior foam of the case is cut at the exact angle of the speaker cabinet so the trapezoidal box will sit flat in the case. There is also a piece of angled foam in the lid to hold the speaker stack upright and flat during transportation. 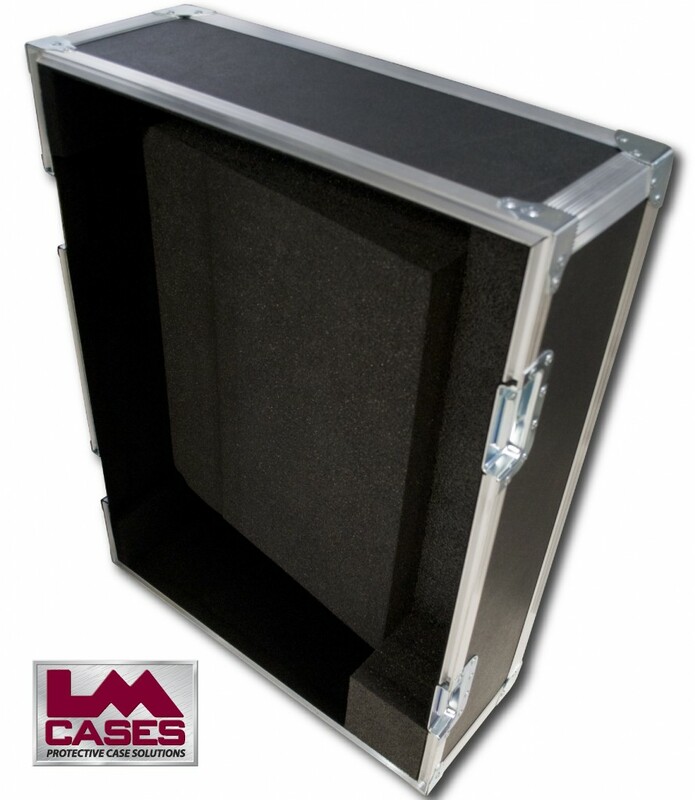 The case is manufactured out of LM's proprietary composite panels to save weight and add increased impact resistance. 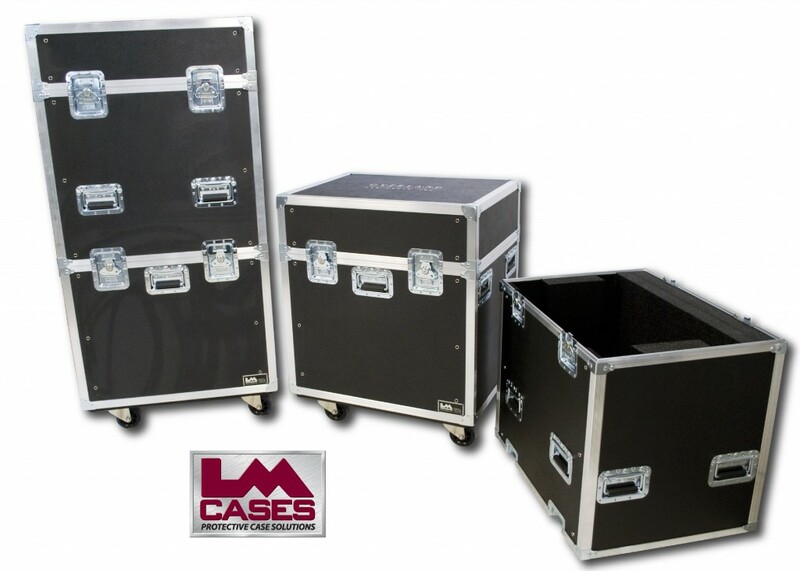 The case is outfitted with Fellshaw 4" Casters, deep recessed handles, and a custom 2 color silkscreen of the companies logo. Special thanks to Overland Pro Audio!